600watts power for 500 shots at full power! TTL and High speed sync with Canon and Nikon camera. A new generation of battery powered studio lights. The NiceFoto N600. Power of flash can be adjusted from on camera transmitter. 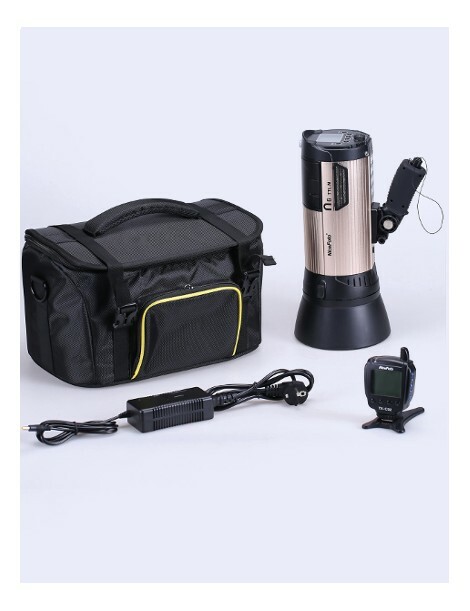 Transmitter, charger and sturdy carry bag included. Introducing the all new N6 battery powered studio light by Nicefoto, the inventors of the battery powered studio flash. This flash really is a do everything flash. 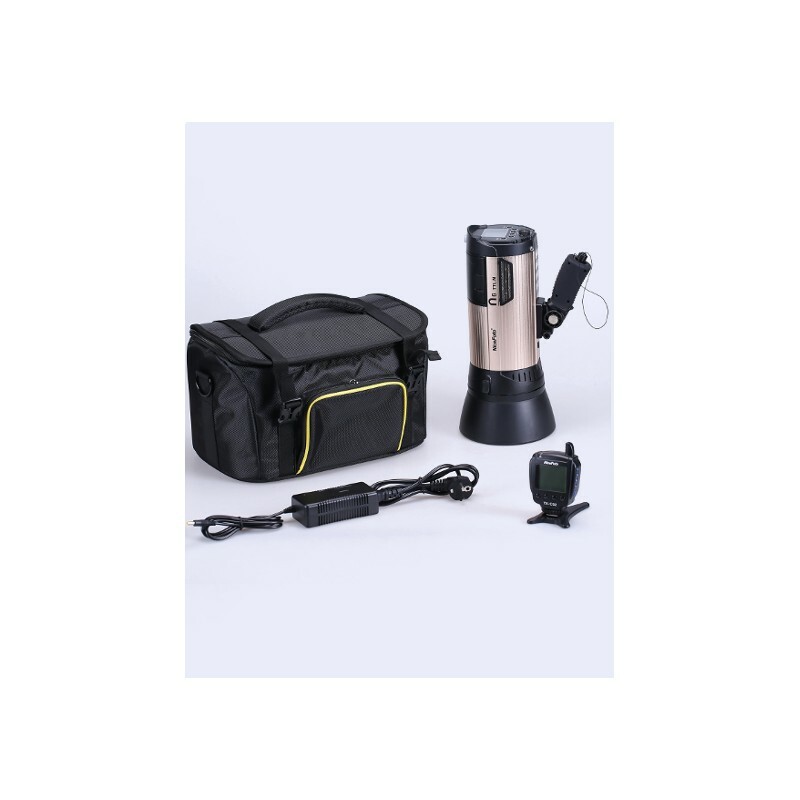 600 watts of power (GN 89) so portable and so versatile you’ll be using it for everything in no time. Ever wanted to overpower the sun with your flash on a sunny wedding day or on a fashion shoot on the beach? Now you can! It’s a dream light for events and schools photography, no cables for people to trip over and you can place it anywhere, no more looking for plug sockets. Everything is controlled from the on camera trigger and with 3 groups available you can change the power output of different N6 flashes to suit, all from the camera and without having to take lights up and down stands, which everyone agrees is a pain. The N6 has built in TTL and HSS for Nikon and Canon cameras with on camera compensation/adjustability for when you want to be creative with your flash. With the new N6 cordless flash you can get 500 full power flashes from one battery charge but in reality you would never be using full power for every shot, so this number is very, very conservative. The built in detachable diffuser is excellent for outdoors, uses bowens mounting system for all your modifiers and comes with an optional gel pack to colour your lighting.